The first cultural route of the ancient theaters of Epirus spans four regional units and involves five archaeological sites together with eight ancient edifices for theatrical, musical and other representations, such as the theaters of Nikopolis, Dodoni, Cassope, and Gitana. 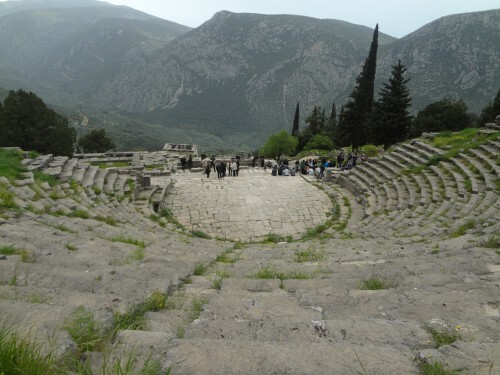 The Cultural Route of Central Greece brings together the ancient theatres of Delphi, Orchomenos, Kavyrio, Eretria and Ascre and illuminates the monuments and ancient spaces surrounding them. The region of Eastern Macedonia and Thrace, with the assistance of «DIAZOMA», is carrying out the project «Cultural Route of Egnatia Road: Via Egnatia». This project is part of the Regional Operational Program of Eastern Macedonia and Thrace, with a budget of 55.2 million euros. The Cultural Route of Thessaly brings together the ancient theatres of Demetrias, Phthiotidai Thebes, and the ancient theatres of Larissa (I,II). The Cultural Route of Thessaly expands along three axes (prehistoric monuments, ancient theatres & castles) which become unified and can thus address the preferences of niche & general public by offering 8 short and 8 long walks along its route. 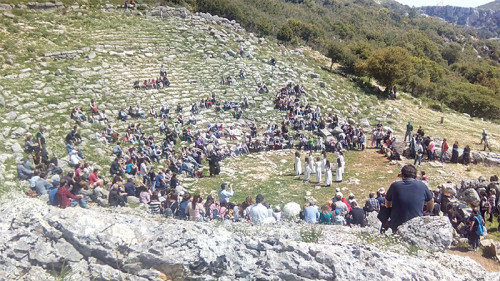 Diazoma's proposal involves the organization of a cultural itinerary focusing at the ancient theatres of Macynia, Kalydon, Nea Plevrona, Stratos and Oeniades. The cultural route of Kea island acts as an incentive for the conduction of the restoration study for the ancient theatre of Karthaia. Diazoma will be in the position to assign the study with funds collected via the “Money boxes” initiative. A “money box” dedicated to collection of funds exclusively for this ancient theater has been already introduced. The cultural Route of Olympia Odos (Road), is a specialized and branded tourism product, a product of cultural tourism, developed around the rich cultural heritage along the motorway ; the archaeological site of Elefsina, Heraion, Ancient Corinth and Acrocorinth, Stymfalia, Sikyon, the gorge of Vouraikos, the ancient theatres of Aigeira and Kyrenia, the Salt Lake of Aigio and the monuments and the archaeological park of Patra. The Cultural Route of Crete brings together the two ancient theatres, the amphitheatre and the Roman odeion of Gortys, the theatre of Aptera, the Roman theatre of Hersonnisos, the theatres of Dreros, Ierapytna, Lefki, Latto, Amnissos, Eliros, Lissos, the theatral area of the Minoan Palace of Phaistos, and the theatral area of the Minoan Palace of Knossos. 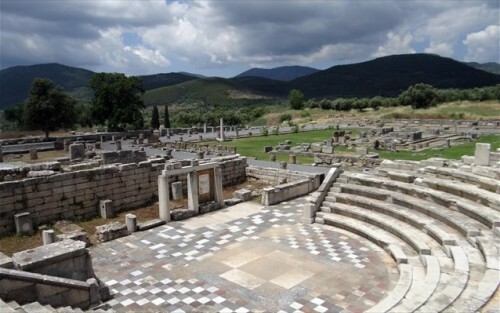 The cultural route of Southern Peloponnese will encompass the archaeological sites of the Ancient Messene in Messene as well as the archaeological site of “Orthia Artemis” Temple in Laconia along with the ancient theatres of Sparta, Gytheion, Megalopolis, Arcadian Orchomenos, Mantineia & Tegea in the area of Arcadia and the surrounding archaeological spaces.